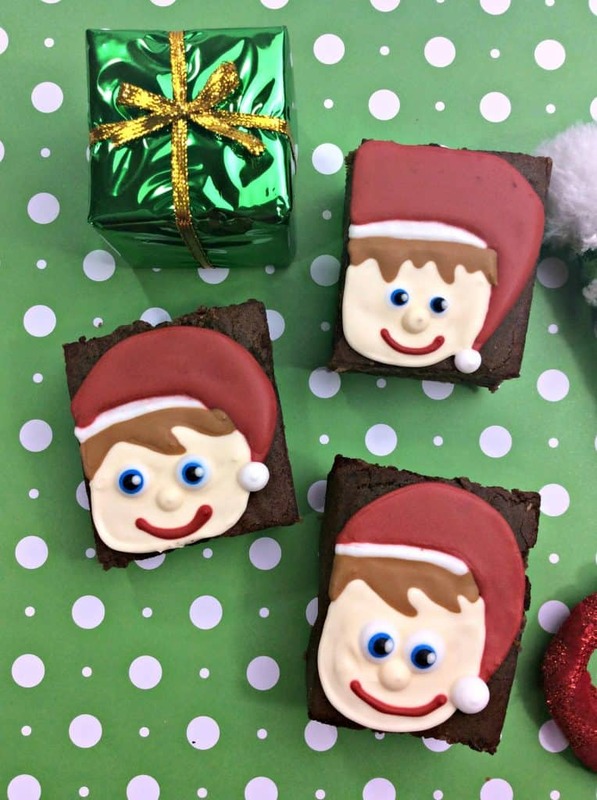 Time for some Holiday fun with these Elf on the Shelf Brownies. Looking for the perfect Christmas tradition? 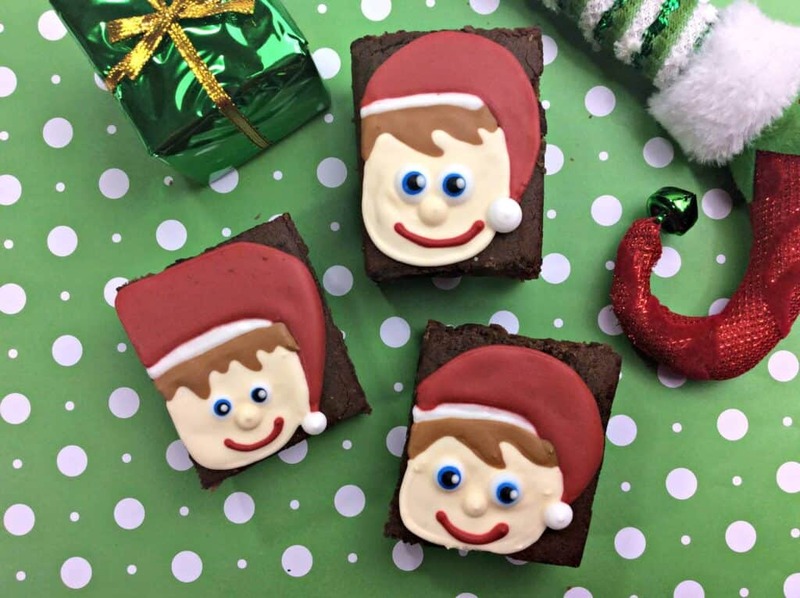 Have some Holiday fun with these Elf on the Shelf Brownies. My kids are counting down the days until their Elf on the Shelf comes back. It is our family Holiday Tradition to start Christmas season with a treat and the Elf on the Shelf Welcome letter (print it here). 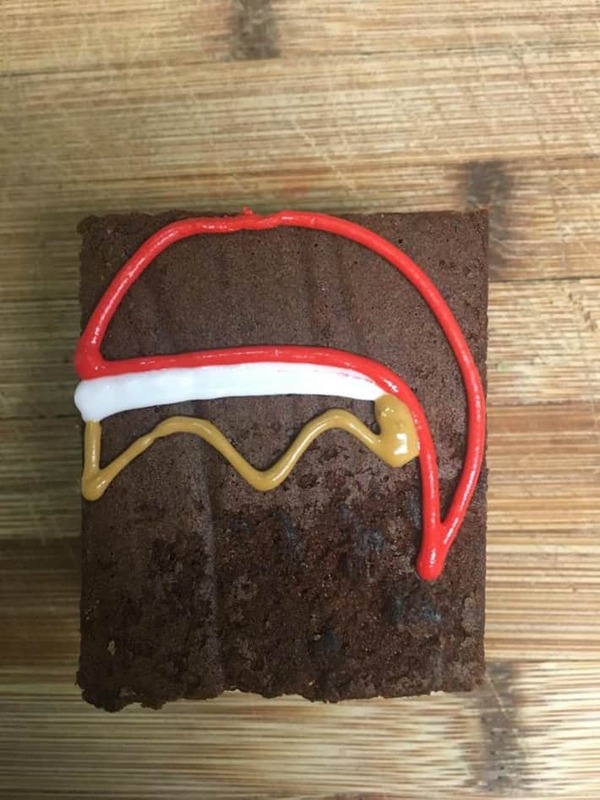 This year they will be getting a delicious holiday treat with this Christmas Elf Brownie. Not only is it adorable but it is delicious! 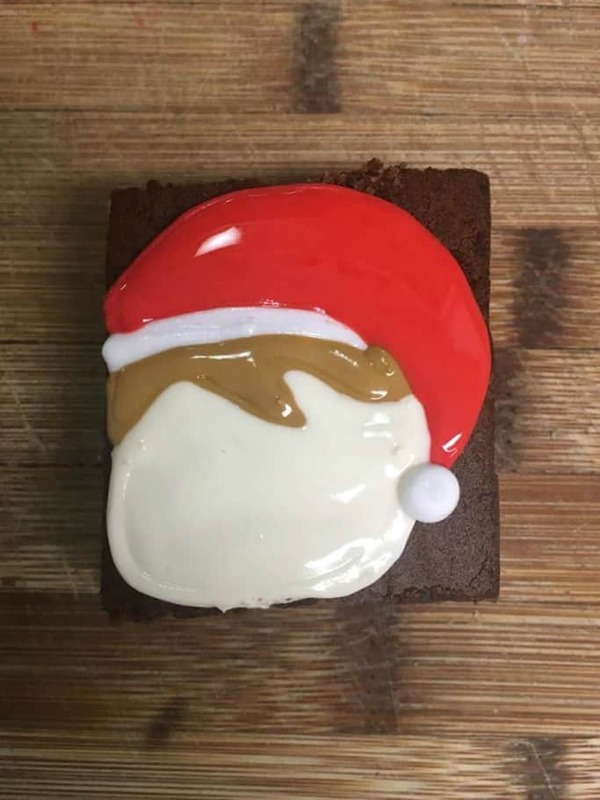 Your kids will be so excited and grinning from ear to ear with this adorable Christmas Elf treat. Using a large sauce pan , melt butter. Once melted remove from heat and mix in the sugar, eggs and vanilla until combined. In a large bowl combine the cocoa, flour, salt and baking powder. Gradually mix in the cocoa flour mixture into the wet ingredients until combined. Pour batter into the baking dish and bake for 30-35 minutes. Ten cool to room temperature. 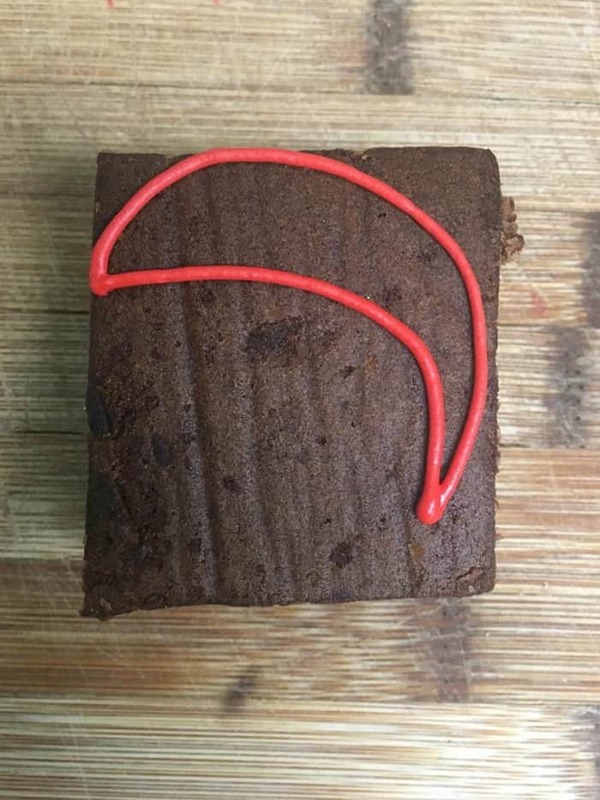 Cut brownies into squares and place onto a cutting board or plate so that it will be easier to decorate. Using the standing mixer, combine the egg whites, cream of tarter, powder sugar and vanilla and mix on medium speed until stiff peaks form. Split the icing into 5 bowls, leaving some left to go into the 6th piping bag. In the first bowl, add in a few drops of red coloring, mix until combined. Add in some more food coloring to get the shade you want. In the second bowl, add in a tiny amount of ivory gel coloring to get a skin tone color. In the third bowl, add in a few drops of blue and mix until combined. In the fourth bowl, add in some black and mix until combined. In the fifth bowl add in some brown and mix until combined. Using the remaining white icing in the mixing bowl, scoop the icing into a piping bag and set aside. Scoop the colored icing into each of their own bags. You should have 6 total piping bags. Using the red piping bag, pipe a line for the elf hat. Using the white piping bag, pipe a line under the bottom part of the hat. Using the brown piping bag, pipe the hair under the hat. Using the ivory piping bag, pipe a circle for the face. Fill in all lines with their respective colors. Using the white, pipe a dollop of white at the end of the hat. Pipe two dots in the middle of the face for the eyes. Pipe two blue dots in the middle of the eyes. Pipe two black dots for the pupils followed by two small white dots. Pipe a red line for the smile. After decorating, wait for 30 minutes for the icings to dry before piping an ivory dot under the eyes for the nose. Let dry for an hour before enjoying! 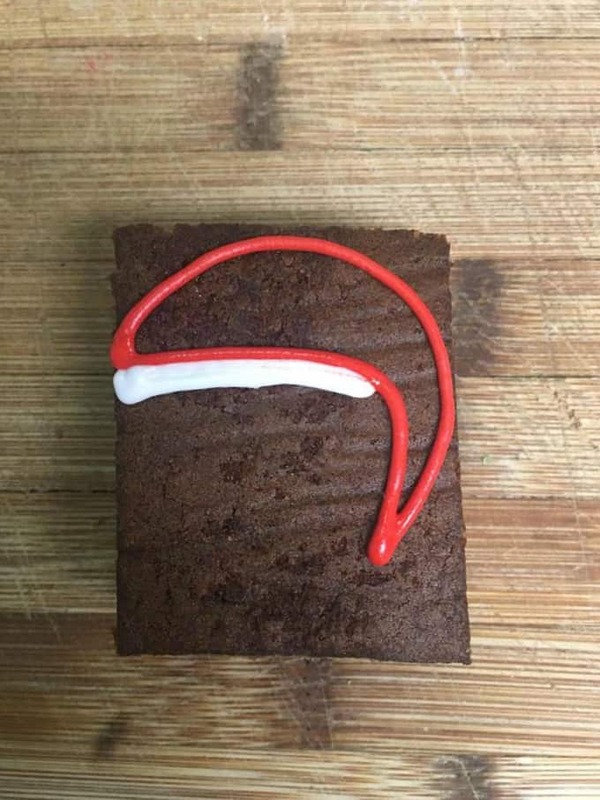 Enjoy your Elf on the Shelf Brownies! 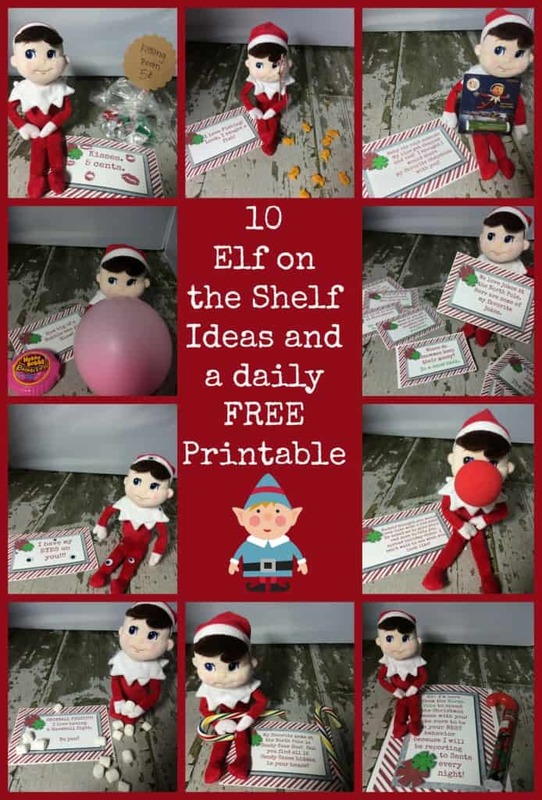 Check out these 10 Easy Elf On The Shelf Ideas and FREE Printables!